OMAHA, Neb. 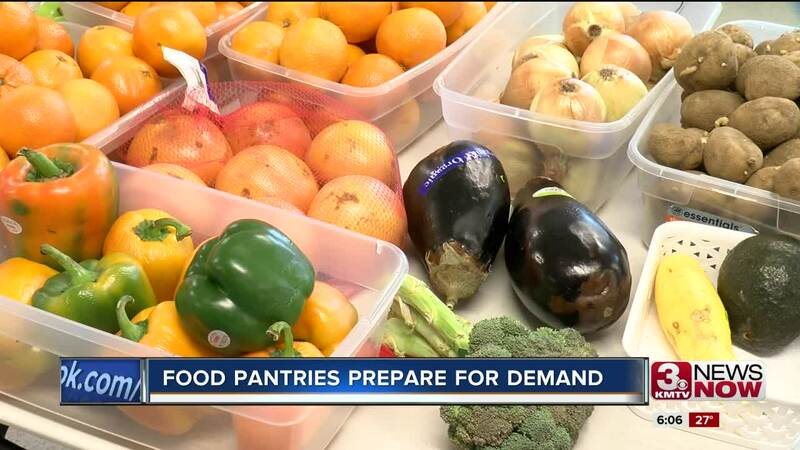 (KMTV) -- — Local food pantries are bracing for an increased demand starting this weekend because of several things. From October to January 2019, Together says its served 3,000 more people than the same period last year. They believe it's a combination of things; people over-extended through the holidays, furloughed federal workers in Omaha, and a nervousness about the SNAP program going unfunded on March 1. In Nebraska there are 74,000 families get SNAP benefits, 24,000 in Douglas County. “If 24,000 people or even half of that 12,000 more people walk through our door I would be very concerned about if we have the capacity to be able to serve those individuals we do now," said Mike Hornacek, President and CEO of Together. Pastor Brad Meyer is with Rejoice Lutheran Church at 138 & West Center Rd. His church has served about 1,000 people since it opened in October 2017 and expects many more when they open again. "It's kind of this misnomer that in West Omaha everybody doesn't need any kind of assistance, so it's been an eye opener in every in our own congregation and our community that there is a great need in this part of the city," Pastor Brad explained. Both say the generosity of the community will likely keep them from running out of food, but the need is getting dire.